This entry was posted in Christian Life, Prayer, Spiritual Disciplines by timriordan. Bookmark the permalink. Thank you for this devotion. The church we just left was big on fasting, and I learned to fast there. However, I have to admit, I’m confused as to what it’s purpose is for us. I’ve read that it’s not to change God’s mind on anything. It doesn’t even seem to be clearly connected with prayer always (although I just assume that it is connected. i.e. Esther). I would love to hear more on this topic. What’s it’s purpose? Why should Christian’s fast? I’ve been fasting for my children on Mondays for awhile now,(off and on). It’s definitely a spiritual muscle I’d like to grow some more. I just feel like there are some dot’s I’m not connecting between fasting purpose and prayer. Today, I will be fasting for SonRise and for the church we just left. I think the real purpose of fasting is focus. It is so easy to be distracted by many things and not really focus on important things. When I fast, I am making God and His working in my life my day’s greatest focus. It is as if fasting allows me to close out the rest of the world and listen to God speak. It makes my spiritual ears a lot more sensitive and my heart becomes much more pliable. I do not think we manipulate God by fasting, but we simply tune in. I am so glad you are seeking truth about this matter. I mentioned a couple of resources in my blog. They are both excellent. 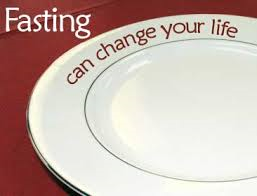 I was first introduced to spiritual fasting through Richard Foster’s book Celebration of Discipline. There are some other good books as well you may want to consider. Thank you for your response. I’ll check out the book you recommended. That does make sense – fasting to focus. I like the terminology you used, “tune in”. It paints a word picture for me that helps.